As it often presents with nonspecific symptoms, depression is a very serious condition that can, sadly, become all too easy to overlook. However, major depression is a real health issue in our country that affects more than 16 million adults in the US at all stages of life—from celebrities to everyday people like you and me. Unfortunately, sufferers aren’t always proactive about seeking the help they might need, even those with access to the best of care. This is partly because of the stigma associated with mental health, and partly because people with depression lose hope that they can be better. As we embark upon the notoriously gloomy winter months, it’s more important than ever for health practitioners across the board, not just psychiatrists, to be on the lookout for signs and symptoms of depression in their patients, and to be prepared to provide support as soon as possible. This means remaining open to exploring the wide variety of available, safe and effective treatment options for sufferers, like transcranial magnetic stimulation (TMS). I’ve seen firsthand the effect that mental illnesses like depression can have on individuals as well as their families and loved ones, and far too often I’m confronted with patients who have been suffering for far too long without relief. While psychiatry is my specialty, I value the collaborative role of physicians and know that it is when we work together to align on the best course of action that we see the best success with our patients, and this is particularly true in the case of patients suffering from depression. My work has led to wonderful relationships with professionals across specialties and it is this type of synergy and shared expertise that most often results in happier, healthier patients, whose well-being have been placed front and center. Typically, doctors prescribe talk therapy, antidepressants, or a mix of both for depressed patients. These treatments work for many people, but unfortunately, not all. In fact, in any single antidepressant trial, only a minority of patients achieve full remission, and as trials of antidepressant medication increases, so can side effects and the potential for treatment failure. Of course, there are off-label options for consideration, but as doctors, we should first focus on proven options that are safe and effective—such as TMS. At my practice, I’ve seen great results with NeuroStar Advanced Therapy. NeuroStar was the first TMS device to receive US Food and Drug Administration (FDA) clearance in 2008. In an open-label clinical trial, 58% of patients significantly responded to treatment, and 37% achieved complete remission of their depression symptoms with NeuroStar. Among people followed for 12 months after acute treatment, 68% retained their response. Despite these promising statistics and results, a common misconception is that TMS treatments are last-resort options when all else fails—but this isn’t the case. The American Psychiatric Association recommends TMS as a second-line treatment and unlike electroconvulsive therapy (ECT), TMS is non-invasive and allows patients to continue their regular daily activities immediately following treatment sessions. It’s a great option, and one my patients prefer, as it’s also free from systemic side effects often seen with antidepressant medications. TMS shouldn’t be brought into play in the fourth quarter of the game. I’ve seen in my own practice the positive impact it can have and urge other doctors across specialties to consider TMS therapy earlier in our patients’ treatment plans, in the hopes that we can shorten the length of their suffering. Be open with patients and ask about symptoms of depression. Be mindful of their mental health history and encourage these important conversations. Know how to initiate screenings, if applicable. The US Preventive Task Force recommends that adults over the age of 18 be screened for depression. The recommendation is for clinical practitioners to implement screening with adequate systems in place. This means they should have systems and staff to ensure patients are screened, appropriately diagnosed and treated with care or referred to a setting where they can receive adequate care. Have a strong and trustworthy referral network of mental health professionals. If appropriate, consider TMS as a viable treatment offering. My practice is now solely focused on TMS therapy because I have seen its impact. My first patient was a nurse who failed to respond to dozens of medications, but had full remission with TMS. Since then, I have seen many patients seeking out TMS therapy who are partial medication responders. These patients are better on their medications in that they may be no longer suicidal and can function, but they are hardly satisfied with their quality of life. Their doctors had given up on trying to get them to full remission. These patients would seek out TMS on their own, and many were able to reach the remission that they were seeking. As we learn more about TMS, our techniques and response rates have improved. In my practice now, we see 56% of our patients get to remission (as per depression scale scoring) and 72% achieve response (as per 50% reduction on a depression scale). As doctors, we have an incredible opportunity to heal those who are not well and transform lives. With that role also comes the responsibility to advocate for our patients, especially when they aren’t in a position to advocate for themselves. Sometimes this means adjusting our viewpoints on viable treatment options and thinking outside of the box to consider new or alternative methods that will set them on the path to recovery. As professionals, let’s continue our work to break the stigma of depression, and open our minds to treatment options that will help us give our patients the fighting chance we know they deserve. 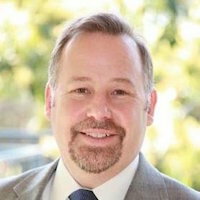 Todd Hutton, MD, is the medical director at Southern California TMS Center, a board-certified Psychiatrist, and a Fellow of the American Psychiatric Association. He is an Associate Clinical Professor of Psychiatry at the USC Keck School of Medicine where he teaches residents in Psychiatry, and is on staff at Huntington Memorial Hospital in Pasadena, CA. The piece reflects his views, not necessarily those of the publication.